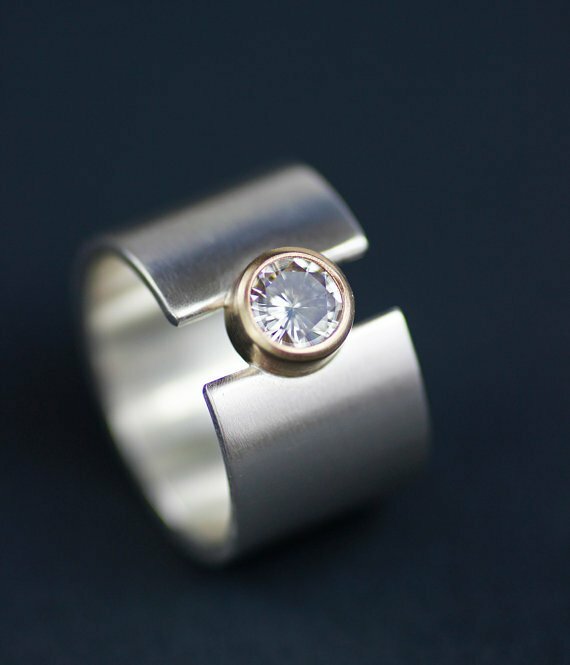 Handcrafted Wedding Rings by Lolide Are Anything But Ordinary — Catalyst Wedding Co.
“Unique” — when it comes to wedding jewelry, that’s a word that gets tossed around pretty casually these days. As a writer for a wedding blog and a wedding planner myself, I see a lot of engagement and wedding rings. So when I tell you that Lolide's wedding rings are not your average wedding rings, you can trust that I’m speaking from experience. Artisan jeweler Lori Linkous Devine makes wedding jewelry with a modern aesthetic that is perfectly suited for texture-lovers with an avant-garde streak. Here are six ways her designs set her apart from other wedding rings on the market. Mixing metals in a single piece of jewelry is not exactly a new concept — even in wedding rings — but the way Lori meshes materials together is pretty uncommon. The combination of both colors and textures yields a truly one-of-a-kind style for your wedding rings. Lori's use of negative space comes through in some of her most original designs. With careful use of cutouts and intentional gaps, what is left out of these wedding rings is what makes them so beautiful. In addition to jewelry-making, Lori has also studied printmaking. 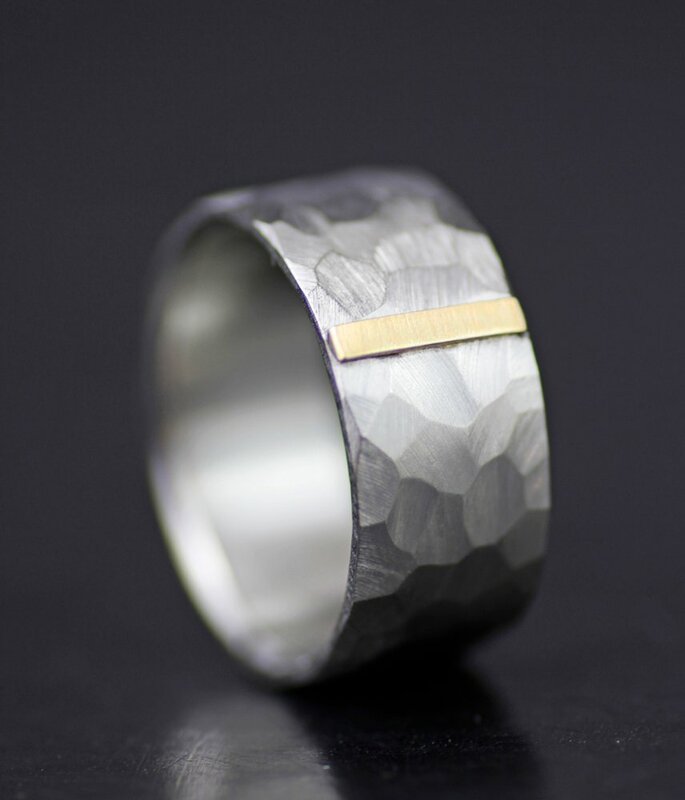 Her work with woodcuts, in particular, informs many of her wedding ring designs. Architecture is a big source of inspiration for Lori. When she was little, she made her own model houses out of cardboard and other found materials like leftover carpet and house paint. These were never intended for dolls, but were a way to bring together the architectural elements she was drawn to in her environment. Her lifelong love of the clean lines, precision, and balance of architecture comes through in pieces like these. One of the most striking things about Lori's designs is her use of sculptural elements. You can really feel the way she builds the metal up into shapes with movement and depth. 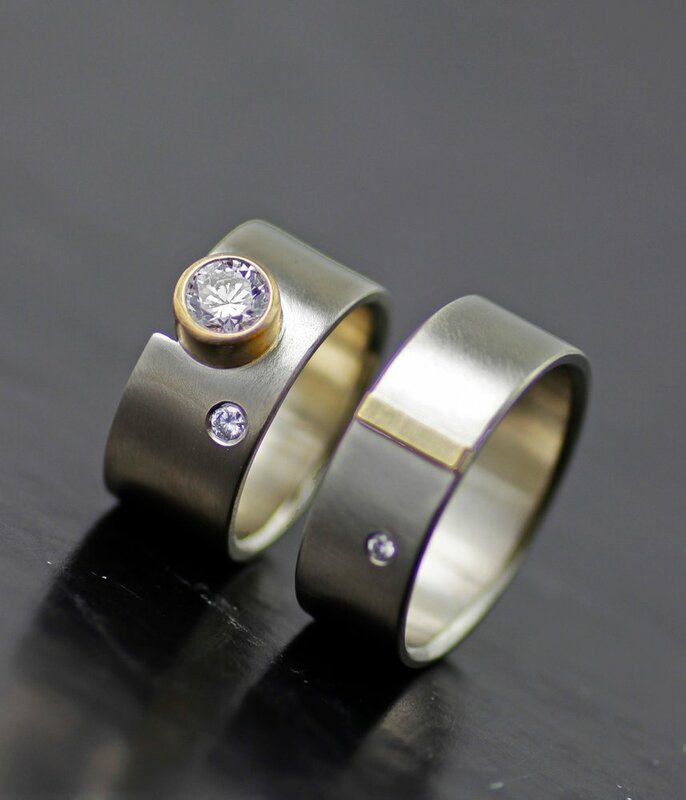 When you choose a Lolide wedding ring, you're not just getting a piece of jewelry, you're investing in a work of art. Like most modern, conscientious jewelers, Lori sources precious metals and gemstones ethically and works hard to make her business as sustainable as possible. And like most Catalyst sponsors, she values equality, feminism, and empathy. I had to resist the urge to embed the entire Lolide catalog in this post because it’s all so gorgeous, but you can head to Lori’s website now to see the rest of her designs! Cindy Savage is the assistant editor of Catalyst Wedding Co. and lead wedding planner and owner of Aisle Less Traveled, based in St. Louis. 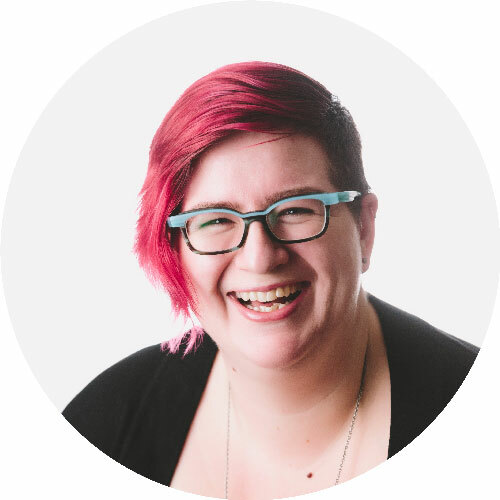 She helps independent, feminist, and LGBTQ+ people plan meaningful weddings while keeping their budgets and their sanity intact. She firmly believes that everyone who has found love deserves a great wedding, no matter what size their budget is — and to make that a reality, she invented Choose Your Own Wedding, an internet-based wedding planning subscription to offer comprehensive planning support at an affordable price. When she's not planning weddings, she can usually be found living her best introvert life: reading books, crafting, talking to her internet friends, drinking wine, wearing stretchy pants, and exercising complete control over the remote!